CD EP, strictly limited to 500 hand-numbered copies! 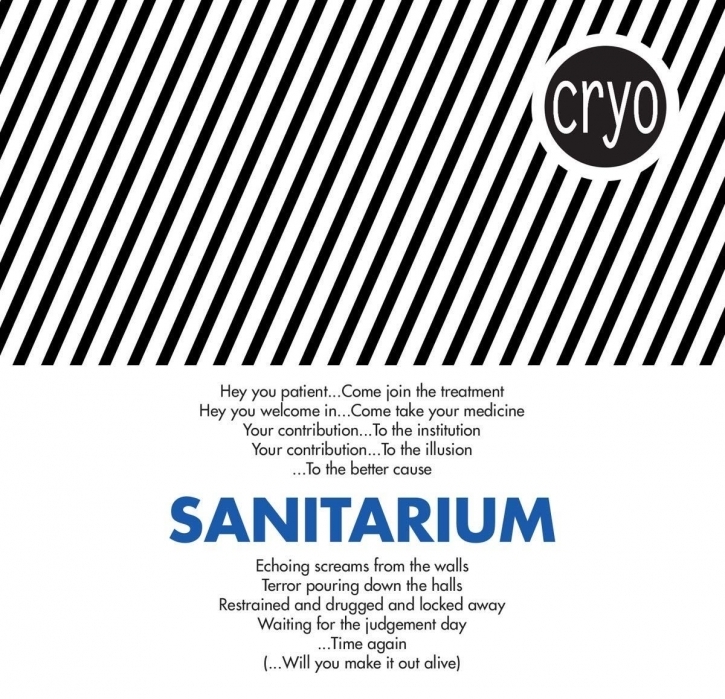 Cryo has for sure grown to become one of the biggest names in EBM/Electronic scene coming from Sweden. After several shows at all big festivals Wave Gotik Treffen, Amphi Festival, NCN Festival, Electronic Winter, E-Tropolis, Campus Noir Festival and many more they earlier this year released the first single "Control" taken from their upcoming album. "Control" was top 10 on the DAC-Charts in Germany for 8 weeks and climed top 5 on the GEWC Charts and the release almost totally soldout within weeks. With "Sanitarium" they are ready to totally blow away the dancefloors. It´s a straight forward, hard EBM smasher still holding on to the specific Cryo-sound which has made them popular all over the world. Remixes from Neuroticfish, Sebastian Komor (Icon Of Coil/Komor Kommando etc. ), XOTOX, Rotersand and SPARK! among others. For sure one of the strongest EBM tracks to be unleashed 2018. The upcoming album is schedule for spring 2019.